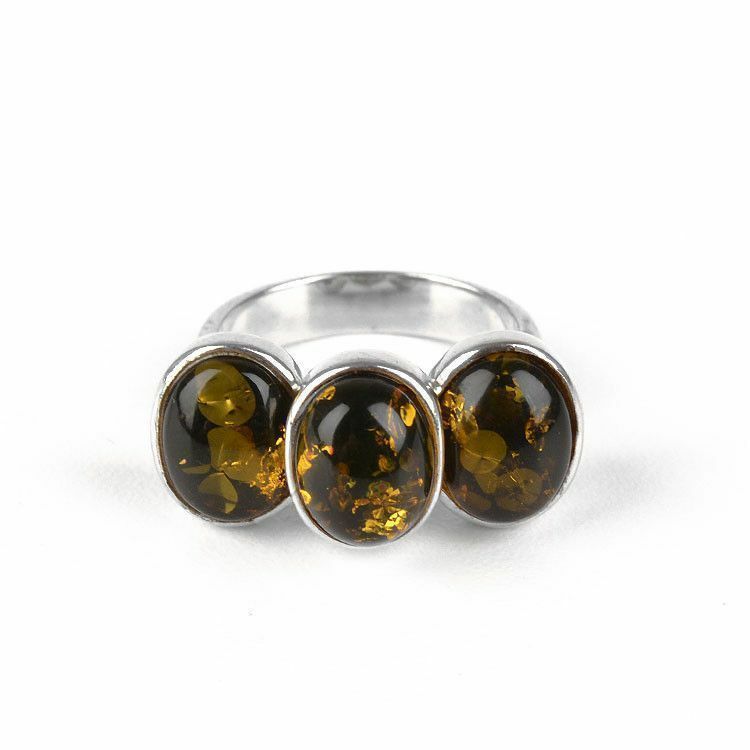 This unique and beautiful ring features genuine green amber from Russia. 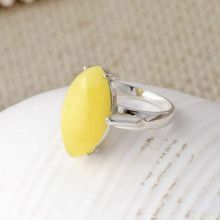 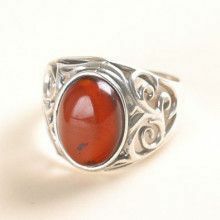 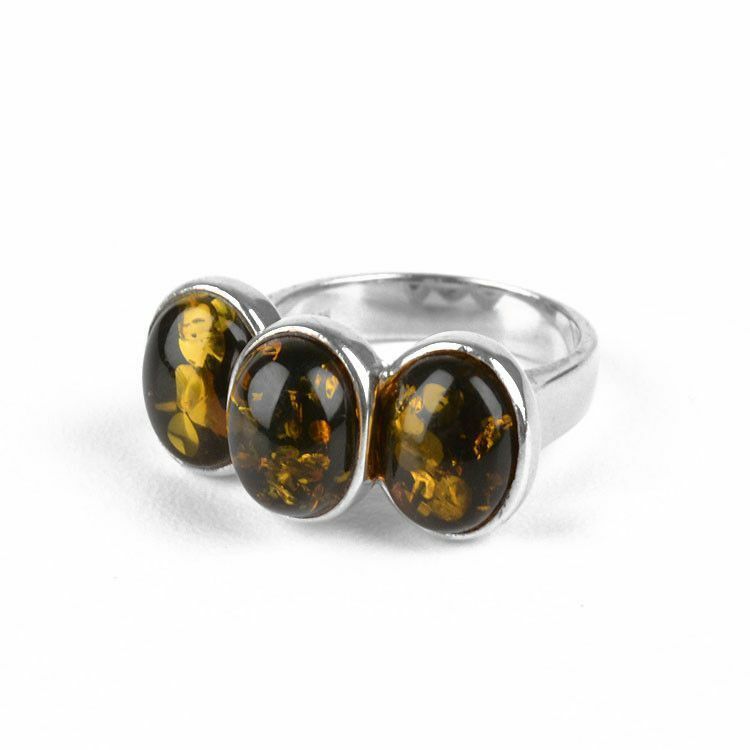 The three stones of green amber are situated right next to each other and in sterling .925 silver. 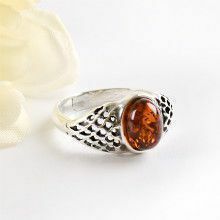 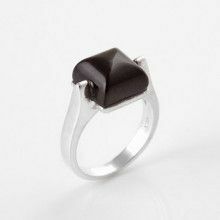 Each stone is approximately 3/8" x 5/16" and the entire face of the fairly large ring is about 3/4" long. 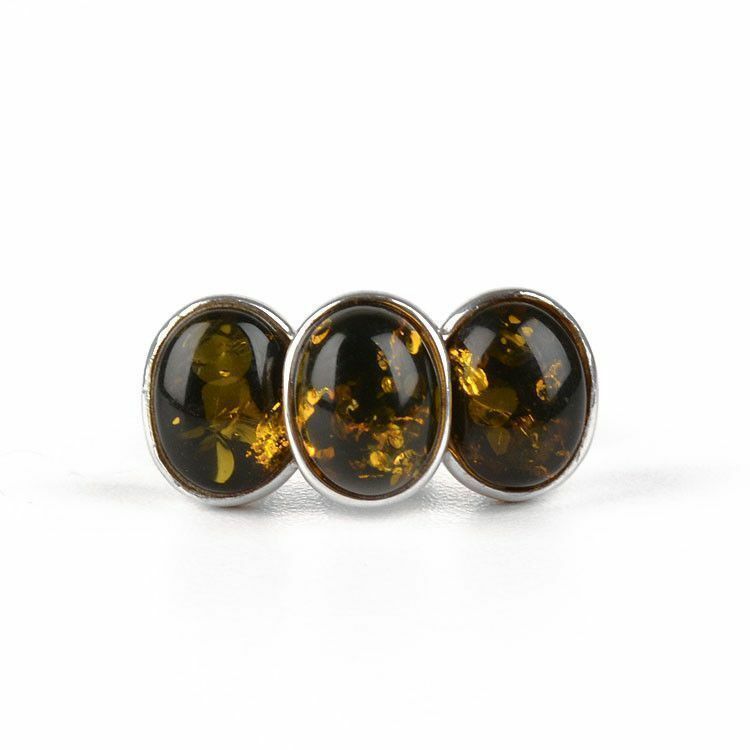 Each stone is about 3/8" x 5/16"